The New York Police Department has finally caught up with contemporary times and will now offer press passes to online journalists. In the past, the department has regularly denied those passes to reporters who publish solely online. Under the new credentialing rules, an applicant must show that within the two-year period preceding the application, he or she has covered six news events where the City had restricted access. Reporters who have not yet covered six events will need to get separate credentials for each instance before they qualify for the press card. The new rules cover self-employed newspersons and other individuals who gather and report the news. 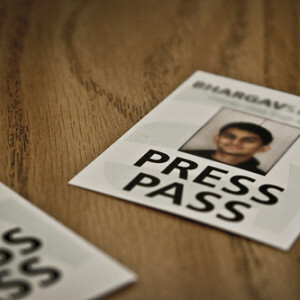 The press card will be issued every two years and will provide its holder access to the restricted events, after police approval. Many entities not affiliated with the city government also use these press passes to determine who is a legitimate member of the media. A public-comment period on the proposed new rules is currently in effect. It extends through April 7, 2010, when an open hearing will be held at Police Headquarters in Lower Manhattan. For a little more background on the lawsuit and plaintiffs, check out this article from January 2009 on The New York Times‘ City Room blog. To read the official press release in its entirety, check out the list of sources below. Image by Stefan Ball, used under its Creative Commons license.